Frank Larzlo is back with a masterclass in fun time-wasting! Here he makes beautiful use of the Fake Form modality. Frank last appeared in if you want to send a message, use western union and HOWDJA LIKE THEM APPLES?. After having received a new SCAM mail at work, informing me that I had won an email lottery, I have decided to go ahead, using my Franz Larzlo account. Prize won: 1.000.000 GBP. This is a standard lotto scam format. But you knew that. He doesn't even bother to pretend to be "DR PEDRO WILLIAMS" - the name never pops up again. This is to congratulate you once again on your awarded fund. You are should immediately forward this mail to our paying bank(NATWEST BANK PLC )London and they will carry out your payment instructions immediate. Kindly us the information below to contact the. Copy and send your information to the bank immediately. 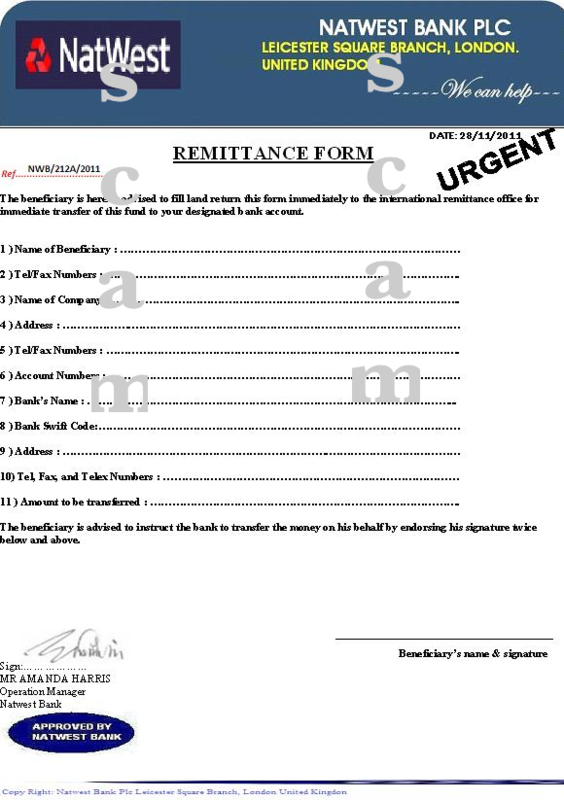 Kindly fill the below fund release order and attached with a copy of your identity for further remittance of your fund. 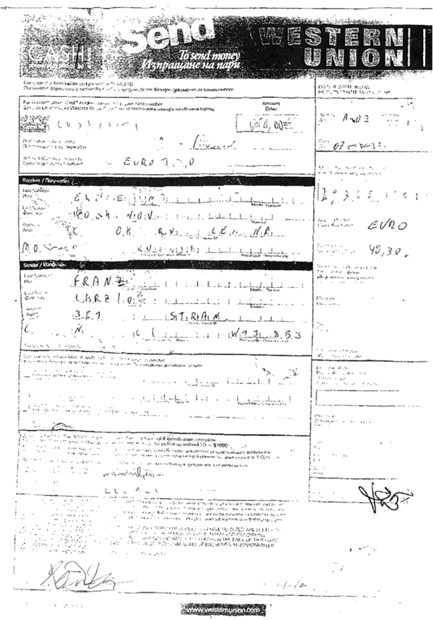 KINDLY_FILL_AND_RETURN_THIS_FORM.JPG, nice attachment name, isn't it??? Please proceed with money transfer. I have seen your signed application, You should immediately resend your account receiving details as i need to take it to the bank for further remittance instruction. Ok, just waiting now for your confirmation. All the emails sent to the bank are returning. I have called them but they could not connect me to Mrs. Smith. Can you please do all the necessary to assist me with this prize? I need this money, urgently. This is to confirm the receipt of your e-mail. This process will cost you you £500 GBP to cover both cost of DHL COURIER SERVICE AND INSURANCE. Will I be able to withdraw the sum of 1.000.000 GBP with this Master Card? Can they not just transfer it to my bank account? Would this not be safer? I have no problem to pay this small fee of 500 GBP but I am concerned about the security involving this amount of money. Please reply ASAP in order to move forward with this transaction. You will only have access to withdraw 15,000 GBP Daily using your ATM MASTER CARD, But will have access to transfer any amount to different accounts of your choice round the world with the ATM MASTER CARD. The issuance of the MASTER CARD is the best secure means to receive your fund. Do send the required information to enable your card depart within 24hrs. 15.000 per day!!! To withdraw all that money, I will go 66 times to the ATM machine!! 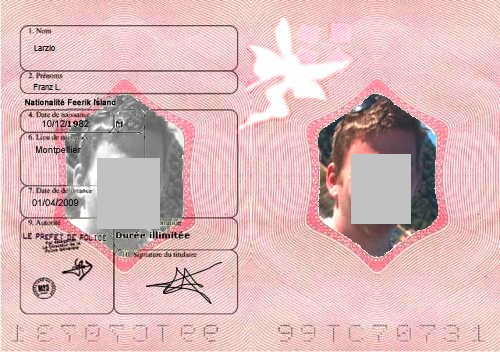 Attached copy of my passport. Face grayed out, in case this is somebody who doesn't want to be on the web site! 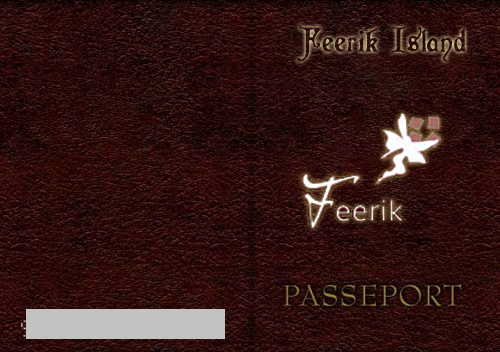 This is to confirm the receipt of your passport identity and your delivery address. You should also send your direct telephone number to enable the courier Service to call you. Also send 500 GBP which is for the cost of Courier service and insurance cover. Use the below information to send the amount (£500) through WESTERN UNION MONEY TRANSFER. 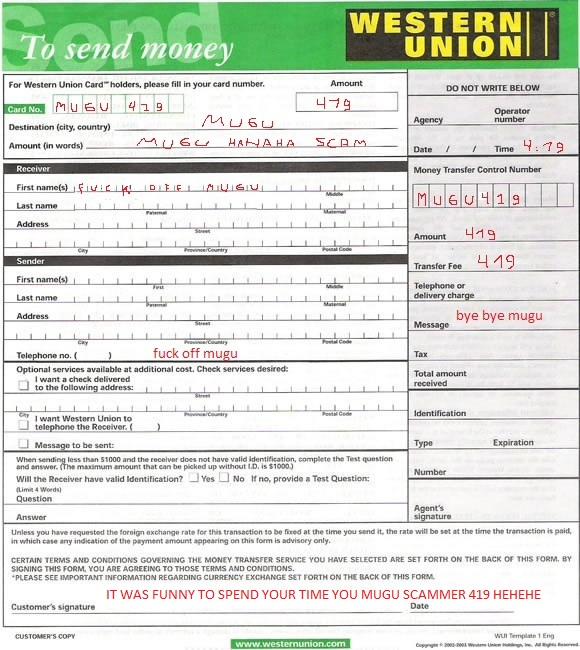 Scan and send the western union money payment slip ASAP. What do you mean with WESTERN UNION MONEY TRANSFER? What account nr? Where is this office? How does it works? I have a bank account, can I not transfer the 500 GBP per bank? please let me know urgently. They will send the money immediately and issue you a payment receipt which you have to scan and send immediately. I have been to a local Western Union office and I had a nice talk with the shop attendant. She has explained me the way it works and now everything seems to be clear for me. The only point that concerns me is that she has mentioned some fraud cases by using this way of payment. She invited me into her office, offered me a cup of thee and some cookies while she explained me the security systems. In fact I have learned that they have many technologies that they use to help safeguard our personal information including Secure Socket Layer (SSL). The locked padlock you see in the bottom of your browser window tells you that we're encrypting the information coming back and forth across our connection. So I am ready for this first Western Union experience. The sum to be sent is 500 GPB but they said that there is a charge to be deducted so I believe that you will receive around 450 GBP. Will that be ok for you? Yes I know, it is expensive, but it is fast and it is secure! They also mentioned a secret question. Could you give me any idea? And I need more detailed address of the receiver (Mr. Tom Alex). As soon I've got your message, I will move to the western union office again. Maggy will be glad to seeing me again. Scan and send the payment receipt ASAP so that your card will depart immediately. Scam-o-note: "Tom Alex" could be Loko himself, or a partner, in which case the loot would be divided according to a 'sharing percentage'. If it arrives. Which it never will. Ok, so now I understand it. You need to receive 500 GBP so in fact I have to pay the cost, right? This means it will cost me 500 GBP + the tax. Maybe it will cost to me 550 GBP right? But this is not an issue, once my friend Larry will borrow me 300 GBP and I have 250 GBP in my wallet. He has no idea that I have won this prize! I told him that I need this money for personal reason. The only problem is that I need to pay him back on Tueasday 13/12. Do you think that by Tuesday this Master Card will be with me? Cause I need to pay him back 320 GBP...That was the condition, otherwise he would not borrow me. Please confirm, cause if I fail the payment to Larry, it will cost me another 30 GPB extra. After having received your delivery date, I will go to the local Western Union office in my town. Kind regards and many thanks for your assistance. Your ATM MASTER CARD will reach you within 48hrs of your payment. The courier services world round the clock excluding Sundays. So if you make the payment today, you will get your ATM MASTER CARD tomorrow or latest by Saturday. Below is the information for the payment. In this case, no more time to loose!! I will take my bike right now and head up to the Western Union office. First I will go by my friend Larry for the rest of the money, but let us say that in an hour this must be concluded. You can inform Mr. Tom Alex that the money is available for pick up. If I am not wrong, he just need to go to a local Western Union office and present his ID to collect the money. Please confirm receipt and send me the DHL tracking nr to trace the Master Card delivery. Scan the paper??? my god!! why?? But the payment was done!!! I am sure that if Mr. Tom Alex will print out this email and bring it to the Western Union, that he will get paid. Please send the Master Card urgently. You must go back to your local Western union money transfer office, they will re-print the payment receipt for you. 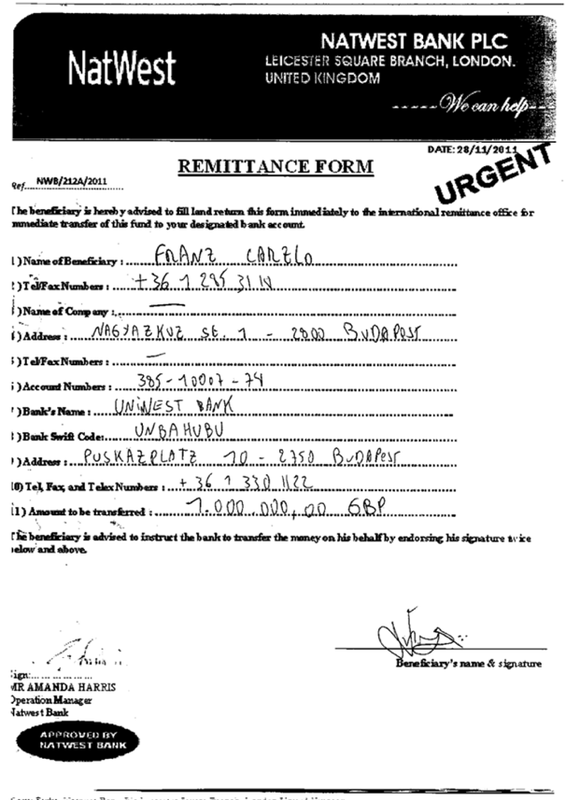 It is impossible to cash money from western union money transfer here without the sender's payment receipt. BE FAST HE SAID...OK MR LOKO. My bike was stolen last night, can you believe that!! How can I move now to the Western Union office???? Anyway, I will look into the pockets of my pants in the laundry...hope I find this paper back!!! I couldn't keep the secret, I told it to all my friends that I had won this prize so it ended into a huge party!!! Feels good to be a millionaire!! Ok, back to our work, attached the paper. I DID NOT ATTACHED ANYTHING JUST TO SEE HIS REACTION BUT NO REPLY. Apparently the file was not attached in my previous email. Print the email which I have sent you and this paper strip. They can see my signature on it, so they will find the payment back in their system. Go back to your local Western union office, they will re-print the payment slip for you. Probably the copy which I have sent you was useless, I agree. No worry, by monday this will be fixed! They will give me a duplicate. By the way, is my account loaded?? Since I've won this prize I have bought a nice car but the car dealler wants the payment by Tuesday as well. Will it be on time?? So Monday new copy to you, Tuesday the card with me, ok? Mr Loko, thanks for being so helpful and I wish you a nice weekend. Your ATM MASTER CARD will be dispatched immediately the courier charge and insurance cover fee is cashed. Then you will get the delivery within 24hrs. Attached the duplicate of the western union document.